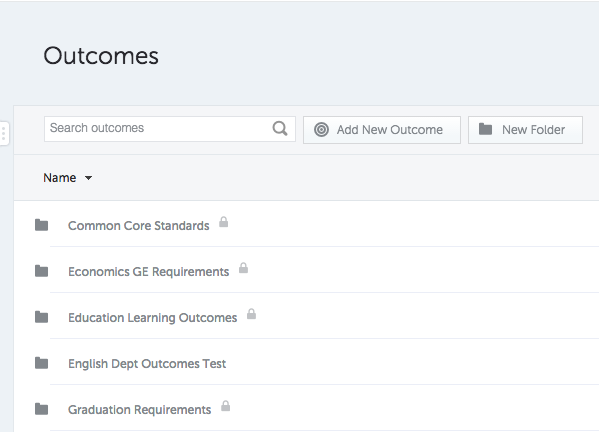 As an Community Administrator, you’ll be able to create Learning Outcomes that can be pulled into Portfolio Templates and Assignments of all courses within your Community. 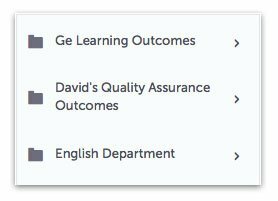 Click Outcomes on the left side panel to access the Outcomes Library. 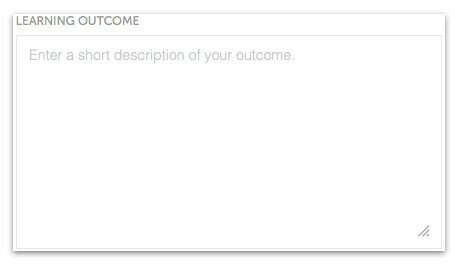 Relevant results will appear below.